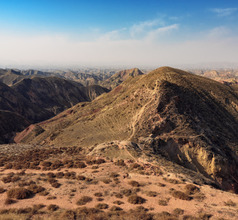 Capital of Gansu province, Lanzhou was once a major city on the ancient Silk Road. 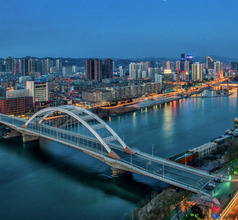 Lanzhou City, located on the banks of the Yellow River is the capital of Gansu Province, China. It is blessed with splendid scenery and fertile land where crops, fruits, and vegetables grow in plenty. 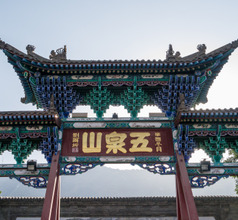 Being a key city on the ancient Silk Route, Lanzhou is an important part of the Silk Road Tourism circuit, especially considering its proximity to ancient grottoes and caves of unparalleled beauty. Lanzhou City is green and pretty with beautiful natural landscapes as well as charming gardens. 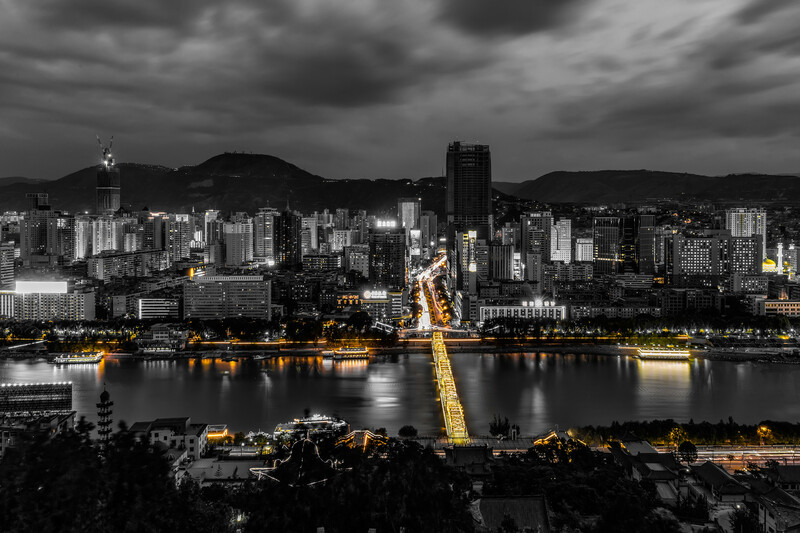 At the same time, the city is a very modern urban area with well-defined infrastructure, excellent cuisine, top-quality hotels, organized public transport systems, and a great tourist-friendly environment. 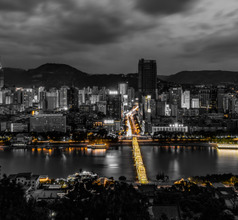 In the era of the ancient Silk Route, Lanzhou was one of the several major trading towns located in the Hexi Corridor. This corridor was the only easily-navigable long valley sandwiched between mountains peaks, arid deserts, and plateaus. As western traders traversed these lands, over time, the local people imbibed western cultural practices and religious beliefs. This led to the establishment of several ancient churches and mosques along with Buddhist temples. Approximately 9% of the local population consists of the Muslim Hui ethnic minority group. Following the Silk Route trail is a popular tourist activity in and around Lanzhou City. 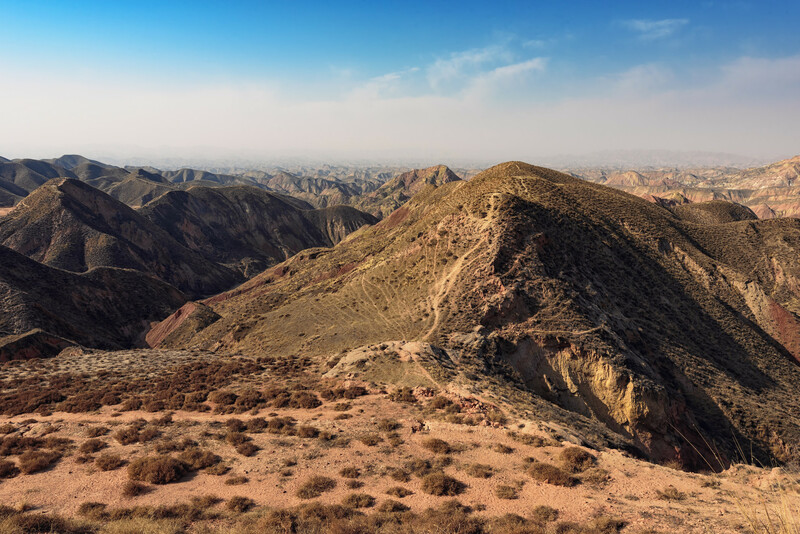 This is because there are many historical, cultural, ethnic, and environmental sites along the route that date back to the Silk Road days. There are professional tour groups who arrange escorted sightseeing so that tourists, especially the overseas ones can absorb the true essence of Lanzhou and its heritage sites. 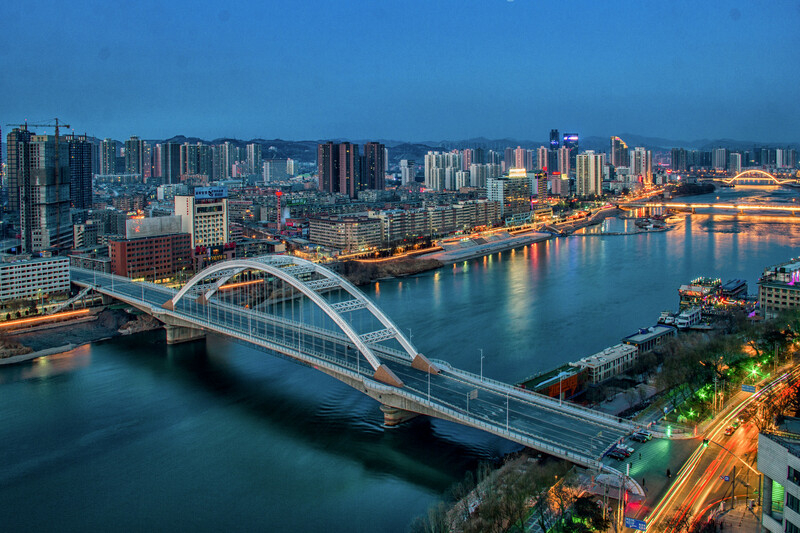 The city of Lanzhou can offer tourists accommodation of any type, size, or price-tag with any number of amenities. One has a choice from among 3, 4, and 5-star, youth hostels, boutique inns, luxury suites, boutique hotels, low-budget inns, etc. The ambience and in-house amenities will, of course, differ depending on the star-rating of the hotel. The low-priced accommodation usually has clean premises and rooms but the amenities are just basic. The star hotels and boutique accommodation facilities have in-house restaurants serving western-style gourmet meals so diet is not a problem. The Bingling Thousand-Buddha Caves (Bingling Grottoes) are the highlight of Lanzhou City’s Silk Route tourist attractions. Although the region has not more than 200 grottoes, the area is so vast that the attraction got its name of “bingling” which means 10,000 Buddha in the Tibetan language. The grottoes are second only to the world-famous Mogao Grottoes near Dunhuang City and are equally picturesque. Baitshan Park or the White Pagoda Mountain Park is another must-see of Lanzhou. It is located on the banks of the Yellow River and is well-known for the white pagoda at the summit. The park area consists of a 17-meters-tall pagoda built in honor of a Lama of the Saskya-pa Tibetan Buddhist sect who died in Lanzhou. The area also has a palace, aesthetically designed courtyards, and splendid green trees all over the premises. 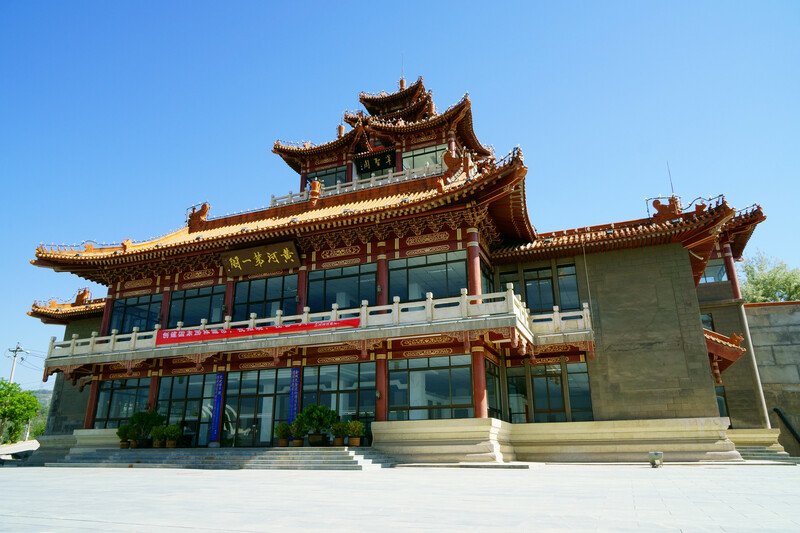 Although the Gansu Provincial Museum was established in Lanzhou after the accession of the Peoples of Republic China it still has many ancient noteworthy artifacts. The museum has a large collection of pottery from the Neolithic period, some of which dates back to 7,000 BC. It also has a great collection of relics pertaining to the Silk Route. 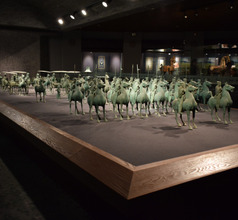 But the highlight of the museum is the bronze statue of the Flying Horse of Wuwei from the Han Dynasty period. It is a 14cms tall horse accompanied by a procession of horse-driven chariots. 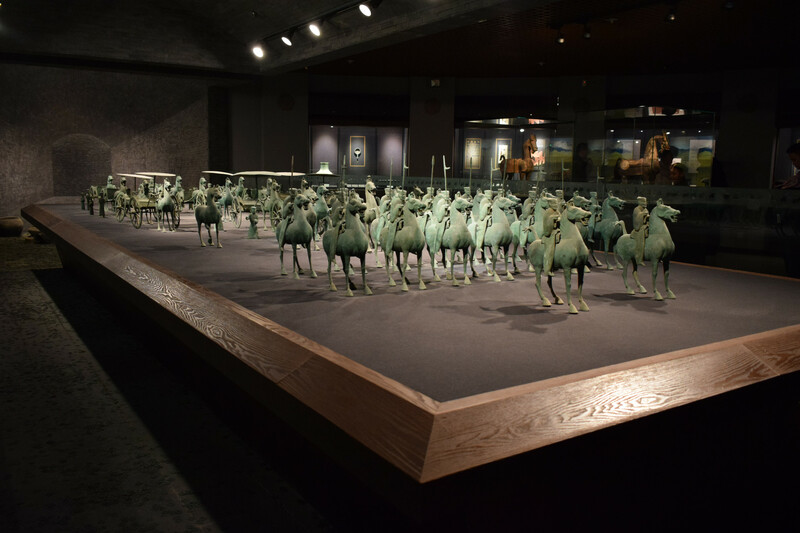 Other awesome exhibits are the wood carvings, calligraphy, and the half-meter tall statue of a Tang Dynasty warrior. A scenic area near Lanzhou that should not be missed is the Five-Spring Mountain Scenic Area. This picturesque region is located on the Gaolan Mountain at an elevation of 1,600 meters above sea level. 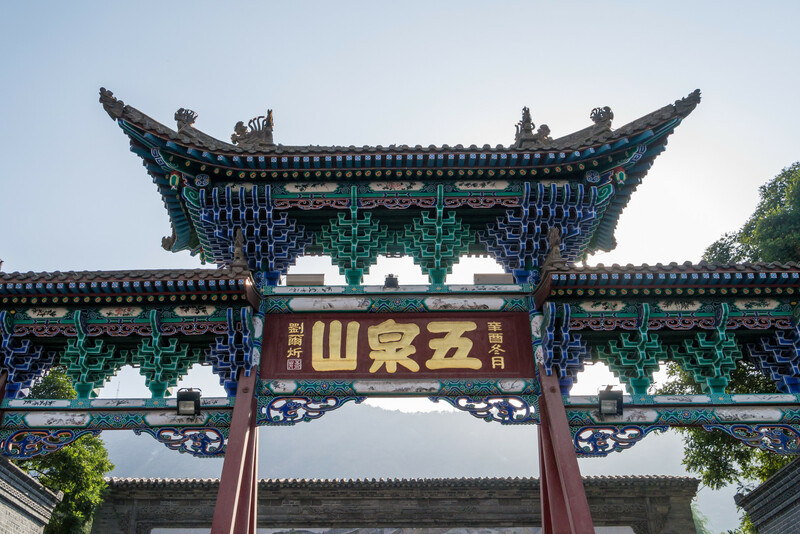 This area is a very popular tourist attraction because it has the magnificent Chongqing Temple with typical Ming Dynasty architecture with massive halls, golden Buddha statues, pavilions, landscaped gardens, artistic stonework, and more. 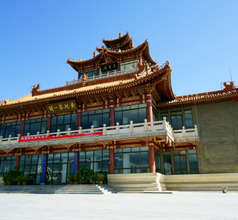 Lanzhou Zhongchuan International is an artfully built, double terminal airport with excellent connection to Lanzhou city, 70 kms away. High-speed train goes downtown in 50 minutes (cost under RMB26), airport shuttle takes an hour (RMB30) as do taxis, though they try to avoid charging by the meter (costs RMB200-300). The busiest route is Urumqi. Most domestic routes are undertaken by almost all major carriers along with international routes to Japan, Korea, Malaysia, Singapore among others. The food in Lanzhou City is influenced by the Muslim Hui ethnic group’s cuisine so it is slightly different from the food in other cities of Central China. Of course, the omnipresent meat hotpot, Sichuan cuisine, and western burgers and pizzas are also available in the city. Some of their delicious local specialties are hand-pulled noodles with beef sauce, Lanzhou-special beef and noodles, Baihe Tao (meat fried with soy sauce), Baisui Chicken (braised chicken similar to the Portuguese Chicken Cafreal), Lanzhou-special roast lamb, Jinyu Facai (roast pork), etc.